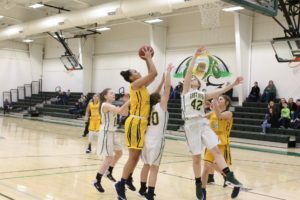 East Hardy started out with an 18-0 run and had four players score in double figures to surround and ensnare the Lady Tigers in the Den with a 58-32 victory on Tuesday night. The Lady Cougars were paced by Brooke Miller with a double-double of 14 points and a dozen rebounds, followed by Leanna Basye and Lexi Strawderman with 12 points apiece and Julia Hahn added 11 markers against Union. 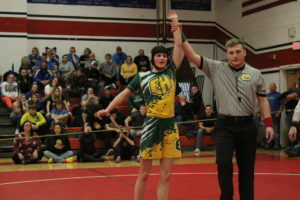 “This was a game where we could get our legs back underneath us after the break,” East Hardy Coach Bridget Billmeyer commented. 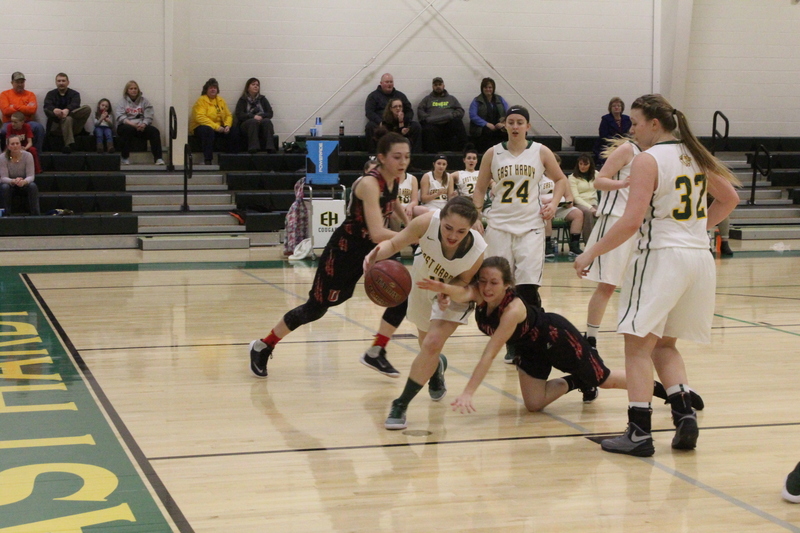 Union’s Allison Collette made a steal to begin the game, but the ensuing shot was off the mark and East Hardy’s Leanna Basye grabbed the rebound leading to a pass to Julia Hahn for a 3-pointer at 7:11. 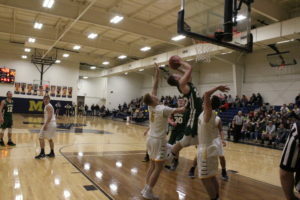 Hahn snatched a defensive rebound and the Lady Tigers deflected a pass out of bounds, but Miller continued the possession with an assist to Basye. Basye stole the ball after a missed Union basket, then Emma Baker made an offensive board and passed to Miller, who completed an old-fashioned three point play to put the Lady Cougars up 8-nil at 5:52. Just over a minute later, Hahn stole the ball and received an assist from Basye on a 3-pointer. Miller collected a defensive rebound and her pass was deflected out by Union’s Kiara Walden. Lexi Sirk made a defensive board for the Lady Tigers, then East Hardy’s Hannah Fogel grabbed a rebound.